The Flourish application deadline is April 12, 2019! Flourish Summer Camp is a performing arts program for youth ages 11-15. The camp consists of a group of artists that mentor young people in the disciplines of theatre, puppetry, dance, music and voice for one week in the context of a farm. The goal of the program is to establish an intimate working climate that allows each participant to voice their unique ideas. Enrollment is kept small enough to ensure that the instructors are able to work one-on-one with the attendees. Each participant's ideas are honored and guided through a process of intimacy, collaboration and inventive play, using spaces on the farm to take work out of the box. At the end of the week, the group of participants will have a showcase of original performance pieces that will make their debut to the public on Saturday, July 20 at 3:00 PM. Rustic cabins are available for housing. Bathrooms and showers with running water are adjacent to the dining facility. All facilities are 'off-the-grid' and employ solar electricity. Participants should come prepared to experience 'simple' living. Participants are also encouraged to be considerate by using soaps and shampoos that are biodegradable. All meals are prepared on-site, from scratch with fresh organic vegetables from the gardens at DreamAcres, along with other locally purchased ingredients. Participants will be taking part in some of the harvest of the vegetables for their meals, and will no doubt take pride in their having a hand in the process. Another culinary aspect of the Flourish experience worth mentioning is that Flourish attendees will likely have the opportunity to taste one of the exclusive wood-fired pizzas from the hand-built pizza oven at DreamAcres. Cost $700.00 (Full residential participation required — housing and meals included). $650.00 — Early bird rate valid until March 1, 2019. Flourish is committed to being accessible and affordable to all. Don't hesitate to ask about financial assistance if needed. Financial aid is available in a variety of forms: including payment packages, scholarships (of varying levels) and sponsorship. In some cases, camp fees may be offset through an exchange of goods or services. Please inquire about an arrangement that will work for you at info@flourishsummercamp.org. Flourish Summer Camp, a program of the Dreamery Rural Arts Initiative of rural Wykoff, Minnesota, announces its Rootstock scholarship program for Minnesota residents for its July, 2019 camp session. Scholarship funds will cover camp fees (up to 75%) for families from Minnesota. Applicants, ages 11–15, are asked to write a paragraph or more about a fun memory and /or their family, along with a statement of interest in attending the camp. 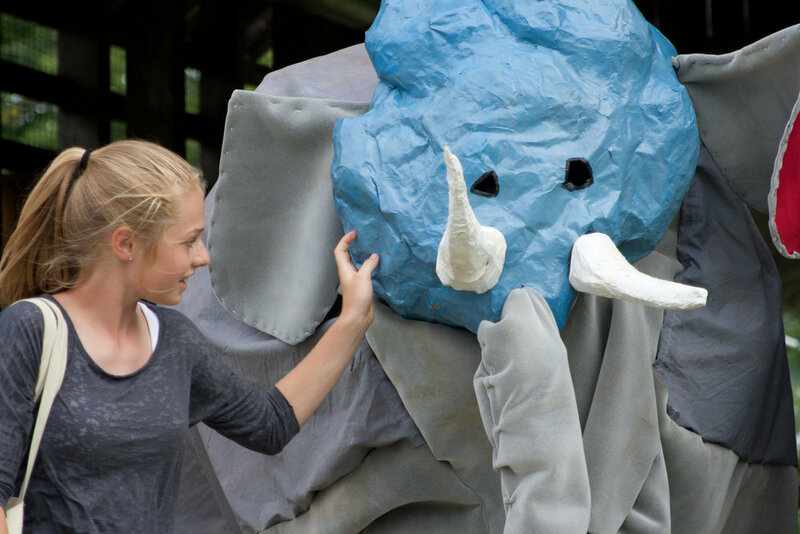 Flourish brings professional, teaching artists in voice, dance, puppetry, music and theatre together with young people to create performance pieces that marry the contours of kids’ imaginations and big ideas with the contours of a farm in bluff country. As part of the Dreamery Rural Arts Initiative season, Flourish is supported in part by a grant through the Southeastern Minnesota Arts Council with funds from the Minnesota State Legislature’s Arts and Culture allocation as approved by a vote of the citizens of Minnesota, and the Revada Foundation. We will be hosting a Flourish Open House in Minneapolis on March 16, from 1-3pm. Meet campers and staff and learn about our unique summer camp blending arts and agriculture on the DreamAcres Farm in Wykoff, Minnesota. For additional information, please contact Mankwe Ndosi, Flourish Co-Director at mankwendosisings@gmail.com. Please download, fill-out and mail-in the registration form, which can be accessed here. The Flourish Summer Camp Health form can be accessed here.